We must know that there will be “3 elders”, White Elder(1-5 tier maps) Yellow Elder(6-10 tier maps) and Red Elder (11-15 tier maps). 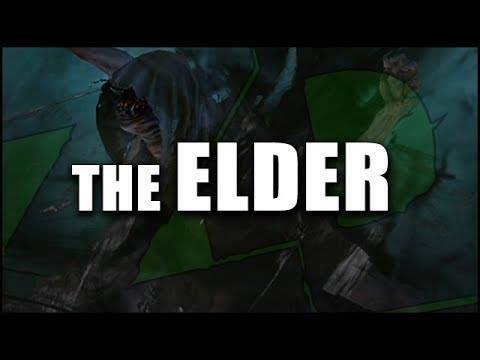 This is important because the life and damage of the Elder will be increased by the Tier it's on. 1. Get your grind on. Complete story mode defeat kitava. You will gain access to the map device. 2. As you enter the ruff worlds of the low teir maps. You will be tested. 3. Pressing "g" in-game will gice you access to the atlas of maps. You will begin a journey. 4. Completing maps in a path that is shaper influenced will destroy the influence and become elder influenced. 5. To grow the elder influence you must follow the path and do the maps that are adjacent to the influenced map. 6. Once you have gained 18 maps with elder influence. Somwhere on you atlas there will spawn 4 guardians. Once you kill all 4. You will be able to fight the elder within the map he is in. 7. Though the first time you meet him it will only be a low teir, the next time he and his guardians will spawn in higher teir maps. 8. Manipulating this you may get him into a higher teir map e.g spider forest. 9. With elder being the last fight out of the guardians. You may do elder influenced maps without killing him off. Aslong as you do not do the high teir guardians. 10. Easy way for high reward without killing him off plus you complete your 350 elder influenced maps.